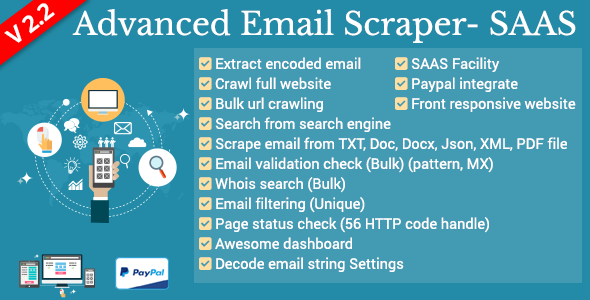 Advanced Email Scraper – SaaS is most powerful web based tool to extract emails by various techniques like website crawl, URL crawl, search in Google/Bing, search in txt/json/xml/doc/docx/pdf file. This script can also check email validation (pattern, MX record) , search for whois data, filter your email list by removing duplicate emails, decode modified email string, check web page status . It’s a multi-user SaaS application means you can resell the Software as a Service and can setup your own business. PayPal & Stripe are integrated so that you can receive payment from your end users. 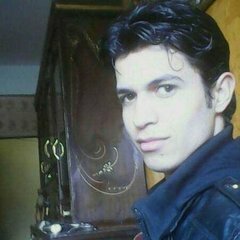 If you do not have plan to resell the Software as a Service or you want to let your end users to use it for free then you can just buy the REGULAR LICENSE and can use.